Oh goodness, I know I should be impartial, but I LOVED this theme! 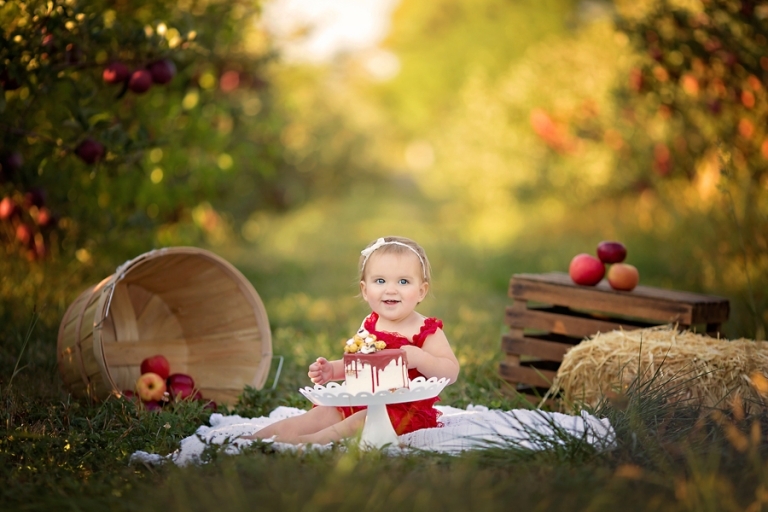 How fun is a fall apple themed birthday? 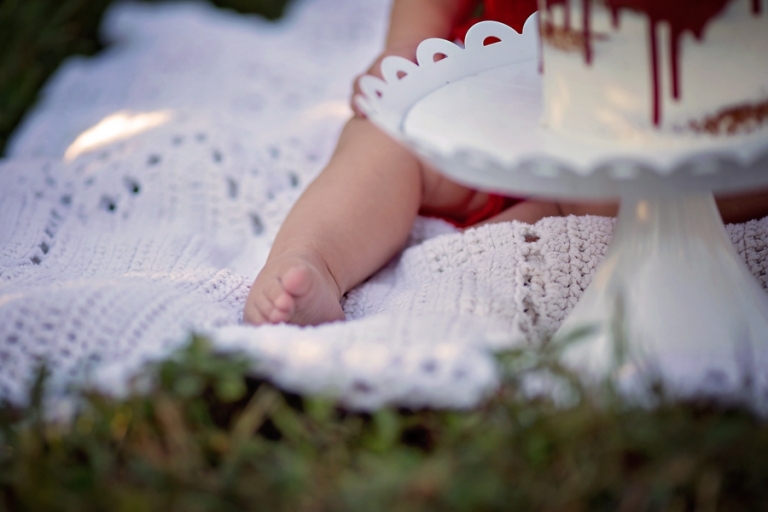 Madelynn was absolute dream for her newborn session (which you can see here) and she did not disappoint with her first birthday session either! You know how much I love these babies! 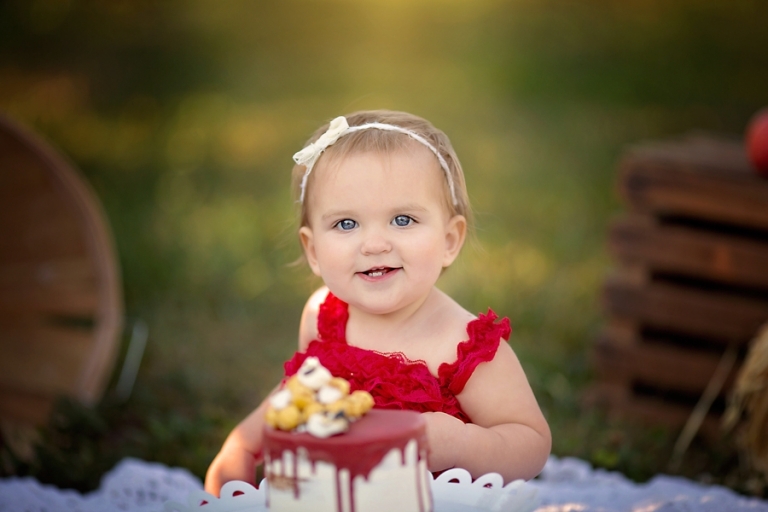 We met at Geig’s Orchard near Seville Ohio for her cake smash then headed to the park for the rest. Geig’s is one of my favorite places to go in the fall time and they were so gracious to allow me to photograph here. If you are ever in the area, you need to stop by. Their apple cider is divine! Now back to cake and babies! How sweet and simple is this cake by 10 lb marshmallow? It fit perfectly with the orchard backdrop and theme. And of course we had to stop Madelynn from eating the entire cake, her older sisters just had to have their share of cake too! Oh my goodness, that smile and those eyes! So sweet! And those little teeth get me every time! If you are a photographer in Medina Ohio, you LIVE for fall! I mean seriously, we had the quintessential fall day for her session. Her sisters helped by throwing some leaves and helped make some magic. No photoshop necessary here! We used this chair in her newborn session and oh my goodness, how things have changed in a year. She is just the cutest! I mean, those lips though. And that grin! Thank you so much for stopping by the blog! 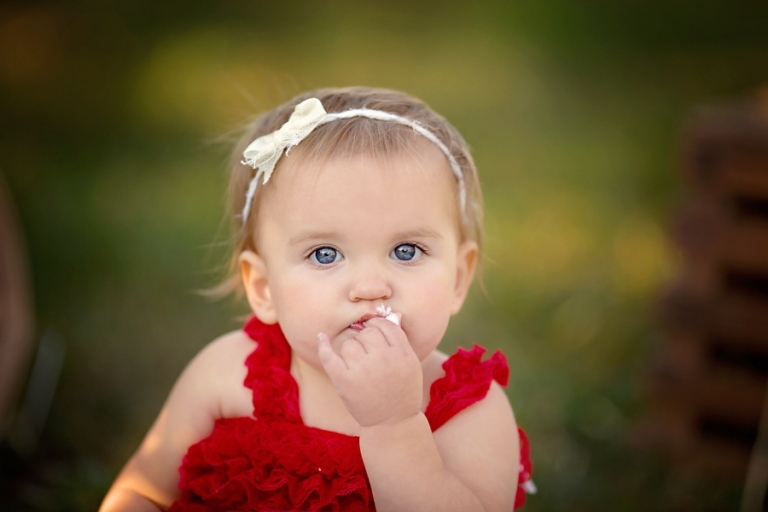 Looking for photography Medina Ohio? Please check out the blog to see if my style suits you. Right now, I am currently booking in December and into 2018. Please contact me today to schedule your session!